A Back Bay Boston apartment owner is suing a welding company after a fire destroyed the building and killed two firefighters. In addition to liabilities for property damage, the welding company could potentially face additional personal injury or wrongful death lawsuits. According to The Boston Globe, the welding company was responsible for the blaze and failed to get a necessary permit before beginning the work that caused the building to burn down. When proving liability in any case, failure to obtain permits and other violations of law can be evidence of negligence. Our Boston personal injury attorneys are experienced in representing individuals who have been injured as a result of recklessness, negligence, or even intentional harm. In the event of an accident, it is important to consult with an experienced advocate who can independently review your case, identify responsible individuals or entities, and pursue every necessary opportunity to achieve maximum recovery. We are abreast of the legal issues impacting Boston communities and dedicated to raising awareness to prevent future accidents and injuries. According to the lawsuit which was filed on April 14, the welding company failed to obtain necessary permits from the City of Boston for work on a railing next door to the building that burned down. If the welding company had applied for the permit, they would have been required to have outside supervision to safeguard premises and ensure that work was properly secured and performed. 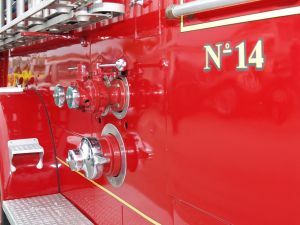 The lawsuit alleges that the welding company failed to keep a fire extinguisher on hand and failed to place fire resistant shields and guards over combustible items. In such cases where a company takes on the responsibility of performing hazardous work, that company also has a duty to ensure that workers take appropriate precautions. The accident occurred in March on a windy day, when welders were working on a site behind Beacon Street. According to accident reports, sparks from the welding work attached to the building next door, began to smolder, and ignited the building. The fire spread quickly and took over the eight-unit building, trapping two firefighters in the basement. The firefighters who lost their lives where the first to arrive on the scene. The case is still under investigation and there may be criminal charges filed in addition to the civil lawsuit. This was a tragic and preventable accident that ultimately resulted in the lost lives of two Boston firefighters. Defense attorneys allege that it is too early in the investigation to point fingers, rush to judgment or assign fault in the case; however, the lack of permits suggests that the welding company failed to take necessary precautions to prevent such dangerous circumstances. Welding, by its nature, is a dangerous and potentially hazardous job that must follow certain procedures and protocols to protect workers, bystanders, and in this case, first responders. In the City of Boston, welding companies that obtain permits will generally have a “fire watch” available, a third party firefighter or an expert who knows how to stop a fire in the event of flying sparks. According to fire department regulations, a fire watch would remain on the scene while work is being performed and in observation of the site a half hour after work is completed.